This year's retreat at Telunas, a tropical island off the coast of Singapore, is a Fitness and Yoga Retreat run by Laos Yoga Retreats founder, Julie. During this retreat, we'll be using fitness and strength training, yoga, mindfulness and yoga philosophy to show you how to build a sustainable and balanced lifestyle that is adaptable to our modern world. In October 2017, we ran our first Mindfulness Meditation and Yoga Retreat, which is based on the MBSR tools developed by Jon Kabat-Zinn. The program was a huge success, so we will be incorporating it into our regular schedule in the upcoming season. During Laos New Year, the country falls into the grips of the water festival, and while this can be a fun time to be in Laos, it also means that many businesses close down for a few days. We're taking this opportunity to leave our landlocked abode for the deep blue open ocean! 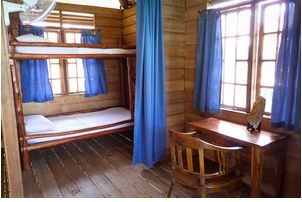 Just 50km off the coast of Singapore lies the Riau Islands of Indonesia, which will be our home away from home for these 5 days. Soulful, slow-flow yoga and meditation in the mornings and yin yoga in the early evening will allow you to apply the MBSR tools that you will learn during the afternoon workshops. These are practical methods of mindfulness that will heighten your awareness of your own patterns and, in doing so, will create a positive shift in how you live your life and interact with the world around you. One of the region’s most outstanding white sandy beaches has been beckoning locals for decades. 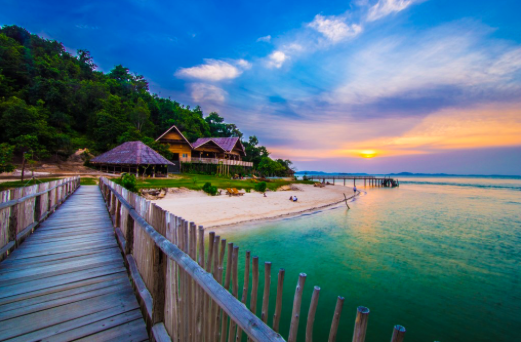 In the early 2000s three wandering Americans rediscovered this beach and made it home to Telunas Beach Resort. 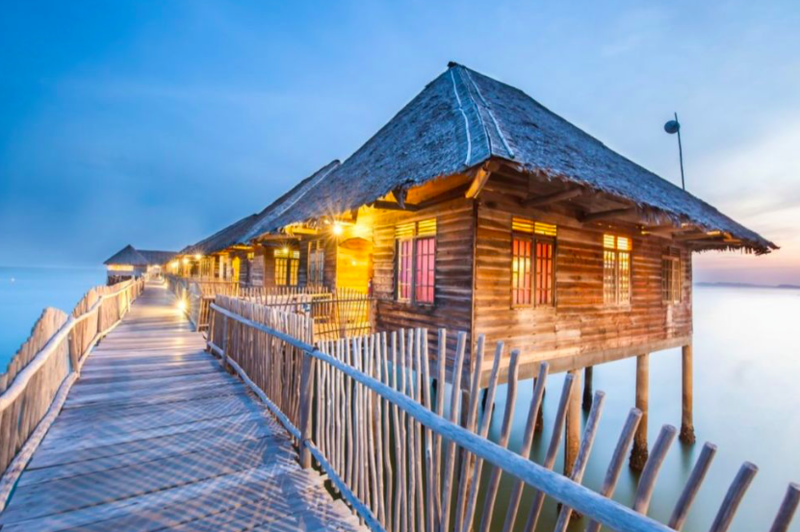 Taking inspiration from surrounding Malay construction, the trio built the beach resort entirely over water emphasizing the expansive views, thatched roofs, and cooling provided by the natural ocean breezes.Telunas Beach Resort is located 50km from Singapore, on the Riau Archipelago of Indonesia. 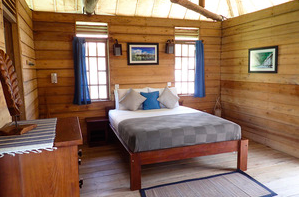 Guest rooms are built over the sea to utilize the timeless natural cooling of over water construction. At night you can hear the gentle ripple of waves beneath your room. Our program uses various tools of MBSR such as body scans, three-step breathing space (3SBS), emotional identification and inquiry to give you practical and tangible tools to work towards a mindful lifestyle. Together, practice and theory will be delivered in an easy-to-understand format so that you begin to experience your own meditation and movement practices as pathways towards greater self-discovery. Morning and evening yoga asana classes will be slower and soulful to support the mindfulness practice. During the afternoon workshops, we will explore various aspects of MBSR in more detail through practice and discussion. Auto-pilot: Discovering how we go through life in automatic pilot and how to shift from the “doing” mode that creates stress in our lives. Mindfulness Based Stress Reduction (MBSR) is a group-based program developed by Jon Kabat-Zinn at the UMASS Medical Center, Centre for Mindfulness for populations with a wide range of physical and mental health problems. It uses a combination of mindfulness meditation, body awareness and yoga to help people become more mindful. After a retreat led by Buddhist teacher Thich Nhat Hanh, Kabat-Zinn adapted the teachings on mindfulness into the structured eight-week Mindfulness Based Stress Reduction course, which integrates the healing aspects of Buddhist meditation practices with the concept of psychological awareness and healing. Several core guided meditation practices are taught in the course, emphasizing connection with the present moment through expanded awareness of specific aspects of our moment-to-moment existence. The body scan, a foundational practice of the MBSR course, is derived from a traditional Burmese meditation practice called sweeping, which S.N. Goenka teaches in his 10-day Vipassana retreats. While inspired by the teachings of Buddhism, there is nothing inherently religious about mindfulness, and MBSR is taught independent of religious or cultural connotation, so while its roots are spiritual, the program itself is secular. In recent years, meditation and particularly the MBSR program have been the subject of controlled clinical research that suggest beneficial effects including stress reduction, relaxation and improvements to quality of life. Leisure activities during the free time such as kayak, snorkel etc. ​Julie and Mira have over a decade of experience as yoga practitioners and teachers. Their expertise in delivering their knowledge of yoga and meditation in practical ways makes the deeper philosophical applications of the practice accessible to all. You can read more about Julie and Mira on the About Us page.